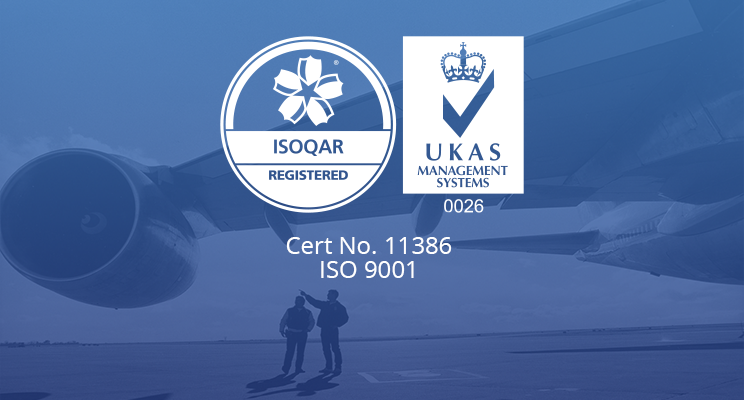 JMC Recruitment Solutions (JMC) has been awarded the latest ISO 9001 accreditation. During early 2018, the company went through an extensive audit process to update their accreditation to the latest standards. The updated ISO 9001:2015 standards incorporate fundamental changes to the content of the scheme, placing greater emphasis on risk-based thinking, leadership engagement and supply chain management. JMC have held an ISO 9001 accreditation, which relates to quality management systems, since 2014. The recent upgrade follows changes to the scheme’s standards that were designed to bring it more in line with other ISO standards. Achieving this enhanced certification demonstrates a commitment by JMC, a specialist aviation recruitment business and consultancy, to ensure that their clients receive benefit from a high level of service delivery. In addition to permanent placements, JMC supplies more than 800 contract engineers per week to MROs and OEMs worldwide, many of whom also possess the ISO 9001 certification. By adopting the same standards and principles, JMC has been able to optimise the audit process and align management systems, thereby reducing risk from the supply chain.